I remember that in the past, a number of Facebook users, including myself, were concerned about Facebook’s privacy policies, and the constant changing settings. For me, I want to make sure strangers can’t access my Facebook to see photos and videos or learn personal information about me. However, then let me ask you this: Why do we do it? Why do we publicly post information and photographs to Facebook, if in reality, we are so worried about privacy! Are we really concerned with our right to privacy, or are we more worried about our online impressions? According to a study conducted by the journal of psychology, narcissism is an integral part when it comes to privacy settings. A lot of times, there is a scale of narcissism that effects how private someone keeps ones settings. But beyond that, the simple term “privacy” has a loose meaning when it comes to social media. No one forces you to participate in social media, yet we all do it. And yet, we all complain about our right to privacy, and making sure we keep a good online impression. I think that users in fact, do, put a lot of sensitive material on their social media sites. We want to view each other in positive light, and we want to make a good impression for others to see. 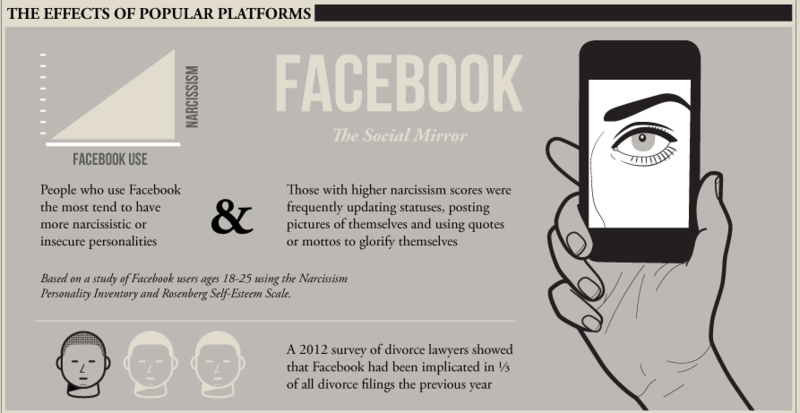 Social media really is a paradox when it comes to privacy, and it all comes back to being a community of narcissists. There is no reason to portray yourself on social media, other than for your own benefit. Each social media site, of course has benefits for others, for employers, for families, etc. However, the most rewarding benefit is always for the individual user. As an individual, we often spend plenty of time deciding what to type and how to express our words via Facebook. However, did you ever think that Facebook engineers could code our written words, even if we choose NOT to publish them? The Facebook company is actually able to collect data of words we type in the status update box, even if we press the backspace button and never even publish them online. This is an extremely interesting point, as it can show a lot about an individual, and how much time we take to figure out the perfect words to publish for all to see. This kind of data is called “self-censorship”, an interesting term regarding social media. We do tend to censor ourselves, as we backspace, delete, and oftentimes never actually post what we want to say. Social media, then, goes far beyond what we express to the public, but what our minds configure and what we choose to and choose not to publicize. In other words, Facebook considers our THOUGHTS, not simply our words. This makes me think that social media can actually be used to analyze the individual mind much more than we are currently aware. Did you ever notice that blank text box at the top of Facebook that asks, “what’s on your mind?” All types of different people use the status update bar all the time. Sometimes I know that my friend’s mom is on vacation in Florida. Or, that my best friends boyfriend is home visiting his dog, or even that my grandma is going to the supermarket! People update their statuses at any time during the day, but did you ever wonder why? 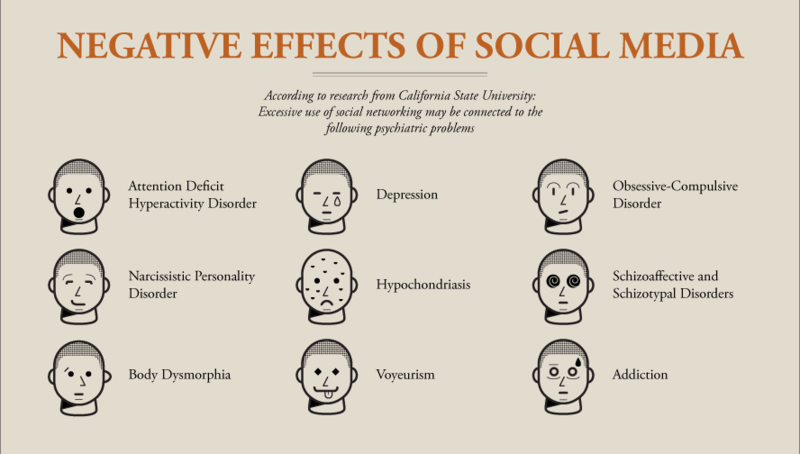 According to a study done by the California State University, the overuse of social networking can lead to actual psychiatric disorders. Wow… So my days of scrolling through Facebook or the Buzzfeed Twitter account can make me narcissistic, or even depressed? This study says yes. Other studies even say that just using social media in general leads to narcissism and insecure personalities. While I agree that for some people this is true, I definitely do not think it is an inevitable fate. I always wondered why people decided to update their statuses, regardless of the website. It seems odd that prior to heading on a vacation or going out to the grocery store one feels the need to log onto social media and write their next plan of action. Perhaps it is a feeling of self-reciprocation, to see who views it and “likes” or “retweets” it. The fact that social media usage can result in actual psychological disorders makes me think more deeply about creating status updates. Perhaps the mind predicts the outcome of creating an update. I think it’s all about the future, and the responses that one will gain from posting. This plays into narcissism because people are aways waiting and thinking about themselves. While updates are meant for others to see, the responses, reactions, and likes are for US. However, sometimes it is not all about the “likes”. A 2013 psychological research study proves that updating statuses is not all about waiting for others to view it and/or like it. Rather, the study shows that undergraduate college students who update their statuses extremely often, typically feel less loneliness than those who do not update their status at all. The interesting point of this is that, “the team found that loneliness levels did not depend on whether the students’ status updates garnered any comments or “Likes” from Facebook friends.” In other words, the simple act of writing a Facebook status makes people feel more connected to the world regardless of any online reciprocation. Again, the act of writing is for the individual, even when others are not involved, the individual is at the forefront of this action. Narcissistic? I’d say yes. As I read more about narcissism and social media I began to direct my thinking more toward the actual individual. Social media, however social it may actually be, really reveals something about an individual personality. A Twitter handle reveals something about someone’s character. How many Facebook friends reveal something about an individual’s social status, to an extent. 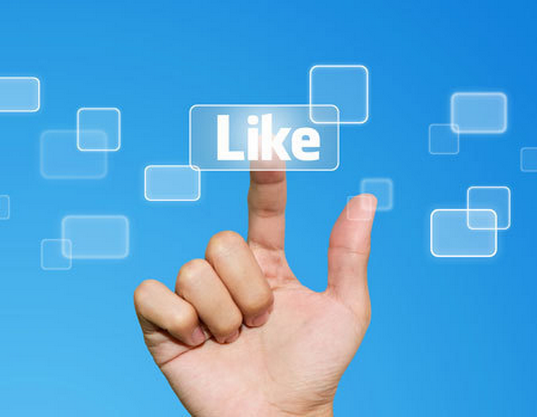 Self-esteem is also extremely powerful when it comes to social media. I think it’s interesting to utilize the term “self-esteem” when talking about social media, because it is clearly about one’s self. However, social media is supposed to generate social contact with many people. In my opinion, I have come across more ways that social media benefits the self, rather than a social community. The utilization of social media displays an individualistic portion of society. I never thought about social media on such a personal level, until now. I realize that social media and society may not go so hand-in-hand as many people think. Rather, does social media promote individualism more so than a social connection? I’m not so sure many people understand the value of social media for what it really is. I think social media should be used very differently than we see it used today. We can make important connections and contacts on social media. However, our society has created social media as a tool to represent one’s identity. For example, Linked In is one of the most utilized social media sites for employers and employees. The intension of Linked In is to present your resume and self identify so that potential employers can find you. However, I began thinking, does Linked In promote one’s self FOR one’s self, or for someone else? This question is very deep and I will have to analyze it further. However, it seems that all of these social sites truly create a space for an individual to impress his or her self, rather than the intended audience. Social media is almost like a performance of one’s self. And, if so, are you really who you portray yourself to be online? Perhaps the greatest influence of social media can be to analyze yourself on a deeper level than ever before. It can be used to facilitate self-analysis depending on the way you represent yourself online. I have a lot more to find out about this topic of individualism and social media. I’m looking forward to finding out some new research! Hello readers! I want to jump right in and explain why I am choosing to blog about how social media can lead individuals toward narcissism and self-obsession. First, I want to clarify that I do not feel social media is only affecting my generation and younger. I think that whoever participates in social media usage is subject to its affects, whether they are positive or negative. I also believe that it is certainly possible to maintain a strong social media presence without feeling self-obsessed or hoping for that instant gratification that many individuals feel when searching for “likes” on a post. I simply think that people are subconsciously feeling internal expectations and anticipations when participating in social media. Whether the source is Instagram, Facebook, Pinterest, or Twitter, in my opinion, most people post and then wait to view outsiders’ reactions. To say that this anticipation is positive or negative is not up to me. However, I just feel that this feeling and waiting is a new sensation because of the recent social media trend. I recently read an article from TIME, which discusses the possibility of a new generation of people being full of narcissists. I was really fascinated with this article because it did not automatically label an entire generation “narcissists”, like so many critics of technology seem to do. Rather, the writer, Peggy Drexler, explains, “Narcissism is, after all, a personality disorder defined by all kinds of nasty behaviors: exploiting others, envy, lack of empathy and an insatiable hunger for attention. It’s a pretty judgmental label to hang on someone who might be happy with him- or herself.” I definitely agree, because I don’t think that everyone feels so self absorbed. I read more about Peggy Drexler, and learned that she has a Ph.D in psychology. It definitely makes me want to explore the psychological factors of social media trends. She also proposed another interesting point that I think many people fail to see. What if Facebook and other social media sites are not meant to fulfill an individual’s sense of self-esteem with him or herself? Could it just help with recognizing oneself and becoming more aware of who you are on an online presence? Drexler asserts, “Facebook builds self-esteem because it gives us the chance to present our best selves; because posting on Facebook allows us to examine ourselves in relation to others, it’s actually a tool of self-awareness.” Her point creates a place for questions, and further observation about the actual affects of social media usage. It opened my mind to the possibilities that social media can be used more than just a tool to express yourself for other people to see. Perhaps, it is a tool expressed for your own self, as an internal view of your individuality. Maybe, social media can actually help, and encourage a sense of individualism and self-identity, that was difficult to assess prior to the Internet. I do not know for certain, but these are great points that I hope to explore further.